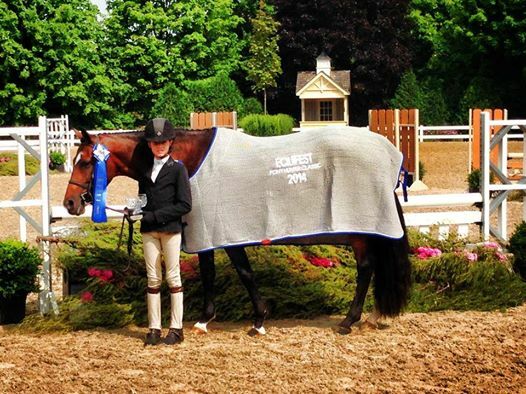 Jennifer Alfano and Jersey Boy won the $15,000 USHJA Interntional Hunter Derby at Equifest II. 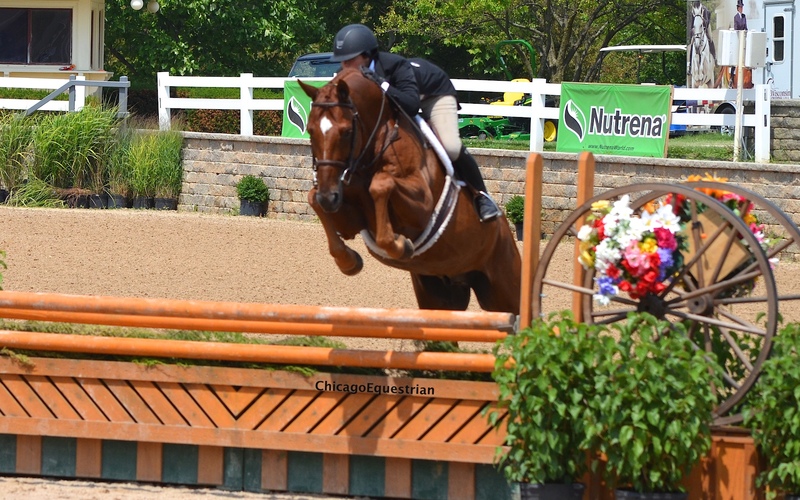 Wayne, IL – August 4, 2014 – The two-week Equifest Series hosted by Lamplight Equestrian Center in Wayne, IL, wrapped up with some exciting highlights. Each week the show held a $35,000 Prix de Lamplight which was won by Kelsey Thatcher of Bluffdale, UT and Athena week I and Tracy Fenney of Flower Mound, TX, with MTM Timon week II. 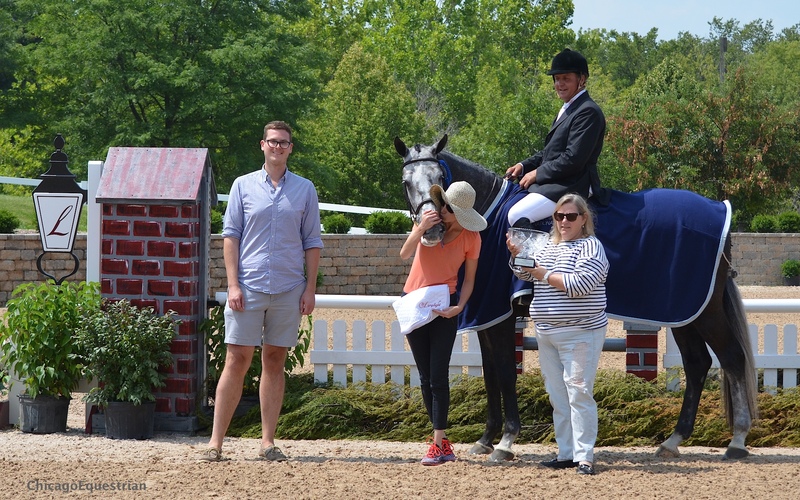 Equifest also featured a 1.40 Welcome Class won by Liz Atkins of Hampshire, IL, and Undine week I and Lisa Goldman of Hawthorn Woods, IL, and Centurion B week II. Both weeks included a $7500 Cavalor Show Jumping Hall of Fame Jr/AO Classic won by Chill Haze and Paul Yanke week I and Laura Linback and Attention Please week II. Week I Hunters featured the $5,000 National Hunter Derby won by Me Again owned by Helen Lenahan and ridden by Jennifer Alfano of Buffalo, NY. 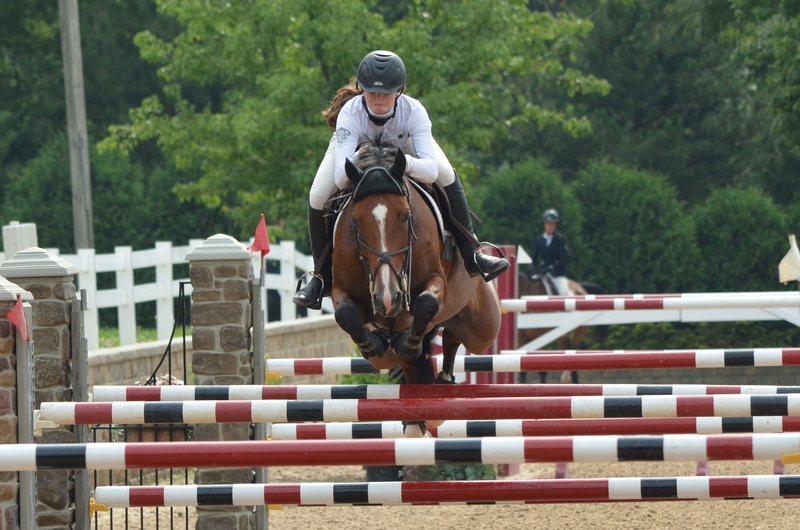 Week II also had a $15,000 USHJA International Hunter Derby won by Jennifer Alfano and Jersey Boy. 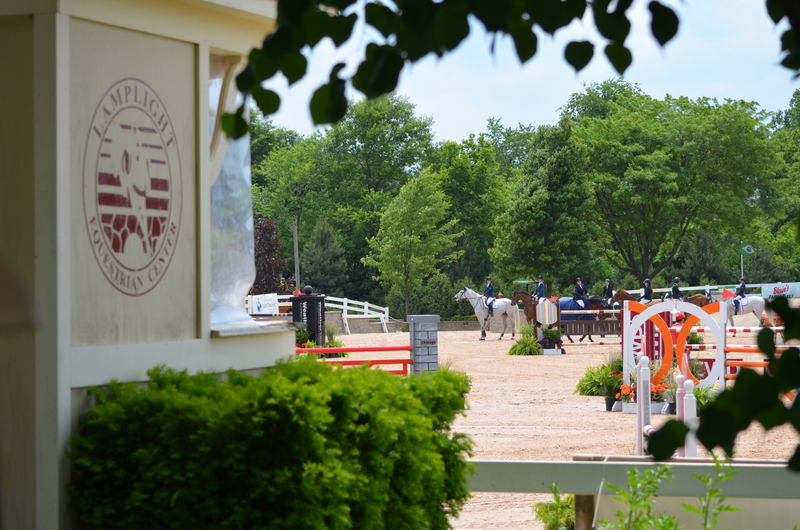 Both derbies in week II were Live Streamed by USEFNetwork. 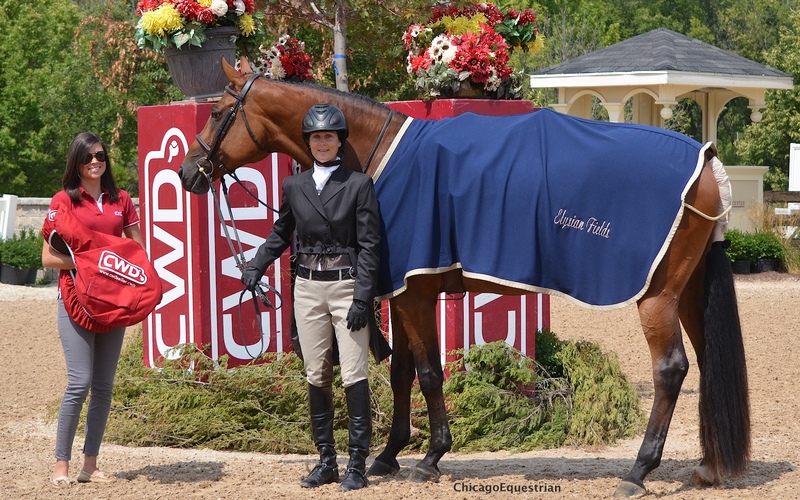 The leading Junior/Amateur Owner Hunter was Lovely Charity and Nicole Hiehle who won a CWD saddle donated by CWD. Nicole Hiehle and Lovely Charity won a CWD saddle presented by Mallory Kolpin. The Junior Hunters came on strong with week I Champion Coup De Coeur and Clare Sargent with No Excuses and Piper Benjamin in Reserve. Nicole Loochtan and Dream on were Reserve Champion in the Junior Hunters. 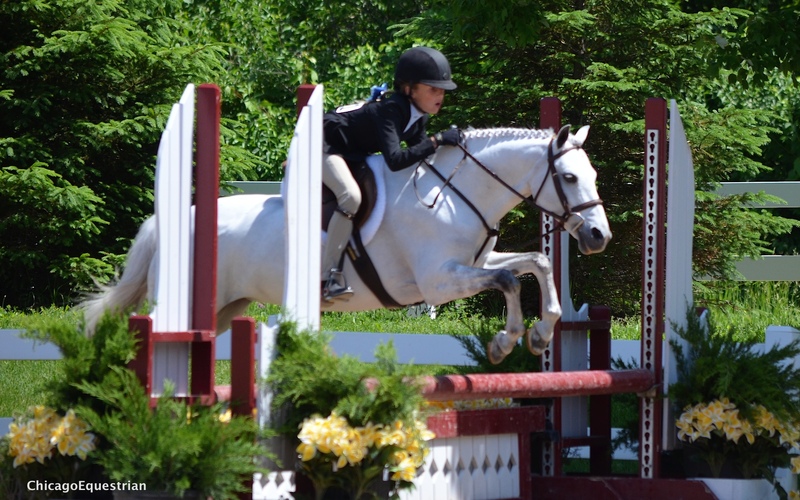 Week II Junior Hunters were split with Beyond Time with Samantha Hall and Dream on with Nicole Loochtan as Champions. Reserve went to Treasured and Madeline Nagel and Aluminum Overcast with Louisa Brackett. Amateur Owner Hunter Champion both weeks was Lovely Charity and Nicole Hiehle. Reserve week I went to Nairobi News and Amanda Williamson and week II Reserve Champion was Ulex and Jennifer Sprenger. The Small Pony Hunter Champion week I was Benlea Mizzou owned by Hannah Hoch and Reserve was Lands End Eros owned by Natalie Jayne. Natalie Jayne and Blueberry Hill won the Small Pony Championship week II. Week II was all about Natalie Jayne with her Bluebery Hill as Champion and her Lands End Eros Reserve. The Medium Pony Hunter Champion week I was News Flash and Annabella Sanchez and Blue by You owned by Wind Haven Farm in Reserve. Week II was Barcelona and Hannah Bernstein as Champion and Scott Stewart’s Show Me Love in Reserve. Natalie Jayne and Hillcrest Songbird. The Large Pony Hunter Champions week I was Canterbury Farm’s Hillcrest Songbird who was Reserve week II. 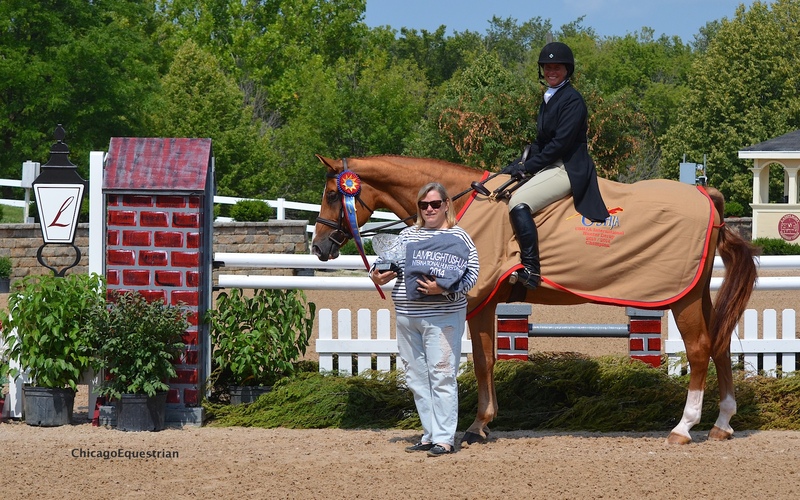 Pep Talk owned by Madeline Nagel was Reserve week I and Victoria Press’ Love and Laughter was Champion week II. The Take 2 Hunter Championship went to Joe Joe owned by Di Stebbins and Reserve to West End owned by Happenstance Farm week I. Week II winners were Depute Scout owned by Felix Jaramillo with Beckton owned by Michele Muenzenmay in Reserve. Winning the Championship in the High Jr/AO Jumpers was Chill Haze and Paul l Yanke week I and ZaZa and Stephanie Novas week II. Reserve was Calvigo and Ericka Baran week I and Amyra R and Novas week II. The Child Adult Jumper Champion was Orchid Milody owned by Clay Struve week I with a tie for Reserve between Boogaloo Kangaroo owned by Alexandra Snow and Victorie R owned by Janet Walker. Week II was Limelight owned by Brampton Woods Farm with Reserve going to Clay Struve’s Orchidee Milody. The featured Take 2 Thoroughbred Jumpers left Excelsior owned by Tim Sullivan as Champion and Thibodeau and Ryan Sassmannshausen in Reserve. Week II was Yet-Tee owned by Chrissy Renz as the Champion and High Flyin owned by Jane Gemellaro in Reserve. The show had VIP seating available for both Grand Prixs and exhibitor’s parties each week. Lamplight Equestrian Center has been host to a number of prestigious horseshows including the American Eventing Championships, The Markel/USEF National Young Horse Dressage Championships and the U.S. Para-Equestrian National Championships in addition to countless first-class Hunter shows, Jumper shows, Eventing competitions, Dressage shows and Sporthorse Inspections. For more information on Lamplight Equestrian Center, contact Anna Margalef at 630-546-5576 or annam@lamplightec.com or visit the website at www.lamplightequestriancenter.com. For more results visit www.horseshowsonline.com.